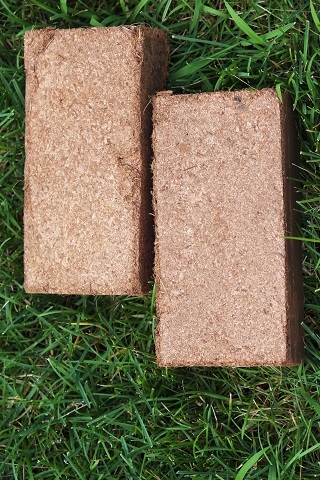 We supply of Standard 650 gram coco peat briquettes are general horticultural use. 650 gram briquettes are ideal for home gardening. Briquettes are perfect for a variety of flowering and vegetable plants. Sock the 650gram coir brick in a water through within a second you can see the bricks absorbing about 8 to 9 liters of water. Shrink Packing of Individual Bricks With Handle. Individually Shrink Packaging with handle its applied for the only customer request.